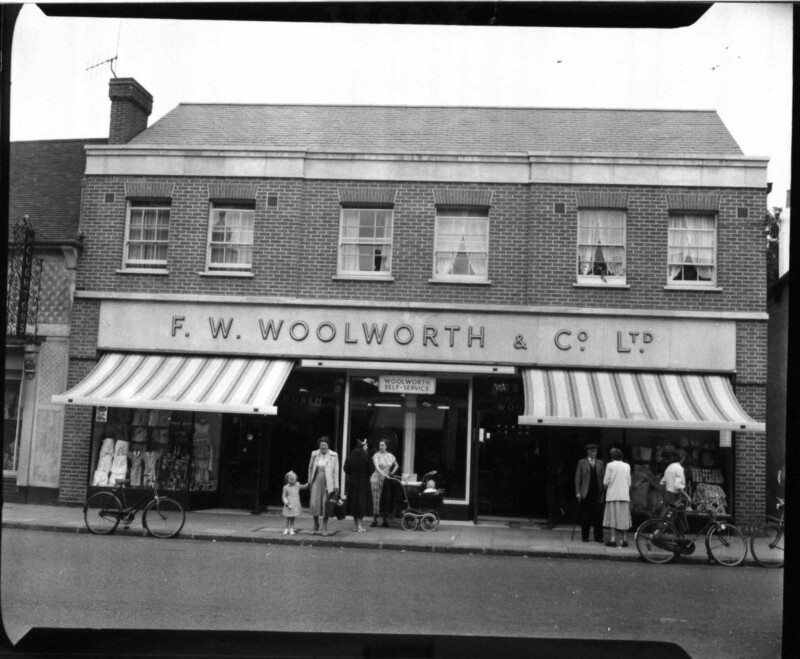 Woolworths opened in Westcliff-on-Sea in 1927. Westcliff-on-Sea is a suburb of Southend, so it was very close to Store 33, but the difference what that this area was more wealthy. 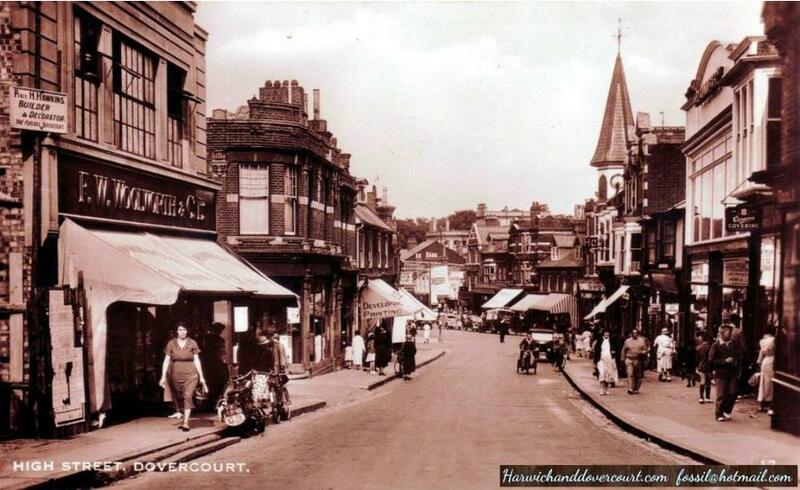 Hamlet Court Road was known as the Bond Street of Essex up until the 1980s. 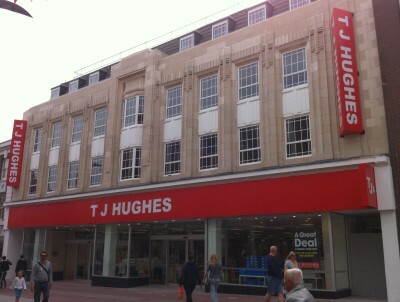 The store was not purpose built, opening in an existing building. The shops on Hamlet Court Road almost look like houses. From this 1971 photo, the store certainly looks tidy though the window. And an interesting fascia. 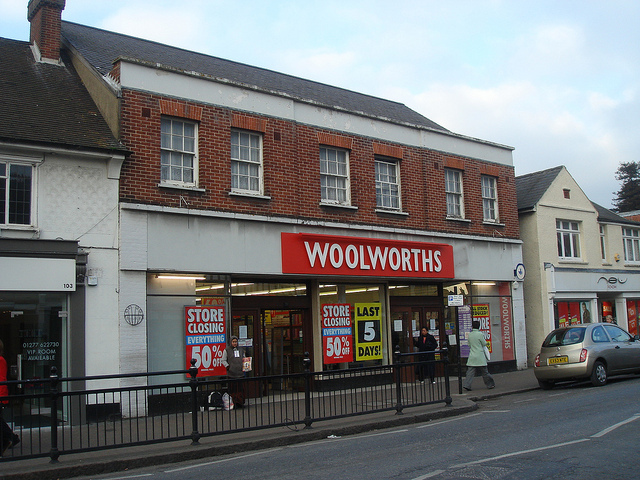 This Woolworths closed in January 1989. Today it is an Indian Restaurant that has kept the front as it was. Just look at the doors and the tiles – it’s brilliant. 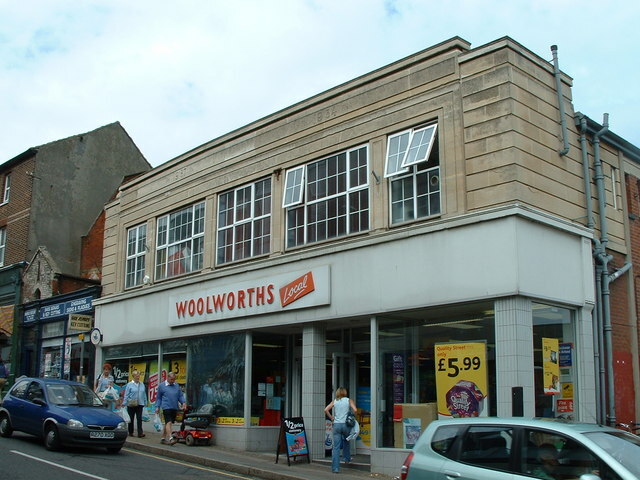 If you ever go for dinner at The Shagor in Westcliff-on-Sea, now you know you’ll be eating in an old Woolworths. 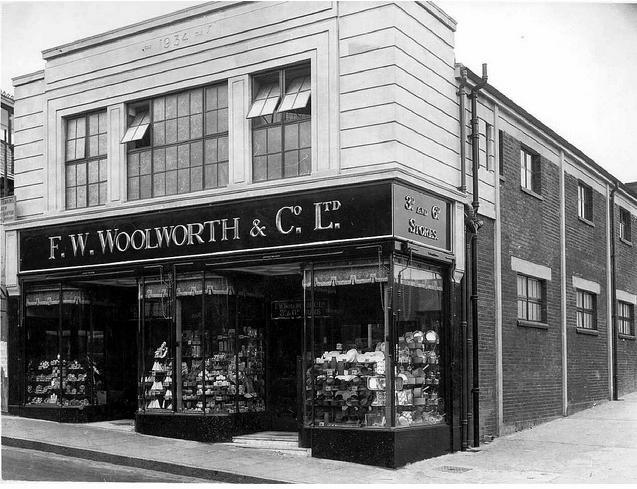 Woolworths opened in the seaside town of Clacton-on-Sea in Essex in 1925. It looks like it was a purpose-built single-storey store with an upper floor – perhaps the stockroom. I can’t find any photos of the store from the old days, or indeed any photos of the store when it was open! But we do know the main entrance was on Pier Avenue, and a second entrance was on West Avenue. This is the West Avenue side. The store lasted until the end, when the chain went bust in December 2008. 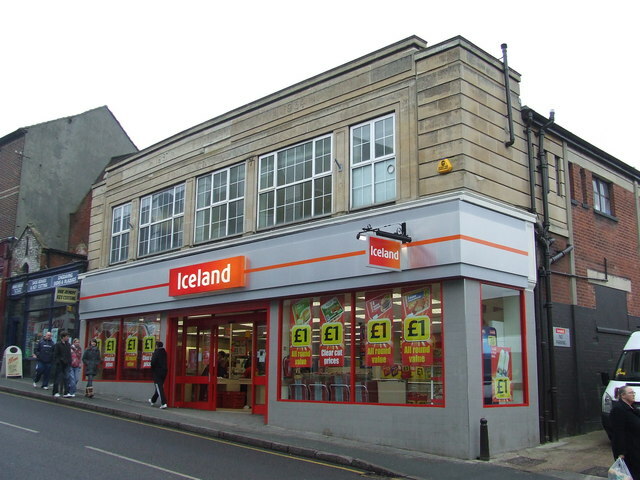 It became a 99p store, but they then got taken over by Poundland, which it still is today.. This store is also Pep&Co, their discount clothing brand. 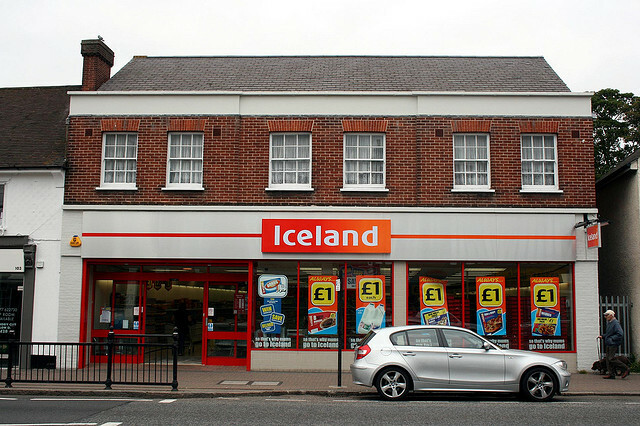 If you are ever in Clacton-on-Sea, take a look above Poundland and admire the Woolies architecture. Burtons insisted on having their name on the roof line as the top floor was a Burtons Billiards Hall – to encourage young men to stay out of pubs and play here, and hopefully shop in the store downstairs. The branch was modernised in the 1960s, which you can see on the left here – typical 60s design, I can imagine it was blue aluminium squares. Then it burnt down in a very serious fire in 1973 – there is a story about who started the fire here – don’t know if it is true or not. The store has to be built from scratch. It spent some time further along the street in temporary premises, which oddly enough burnt down a few years later. Today, this building is split into 3 units – Brighthouse, Paddy Power and Santander. 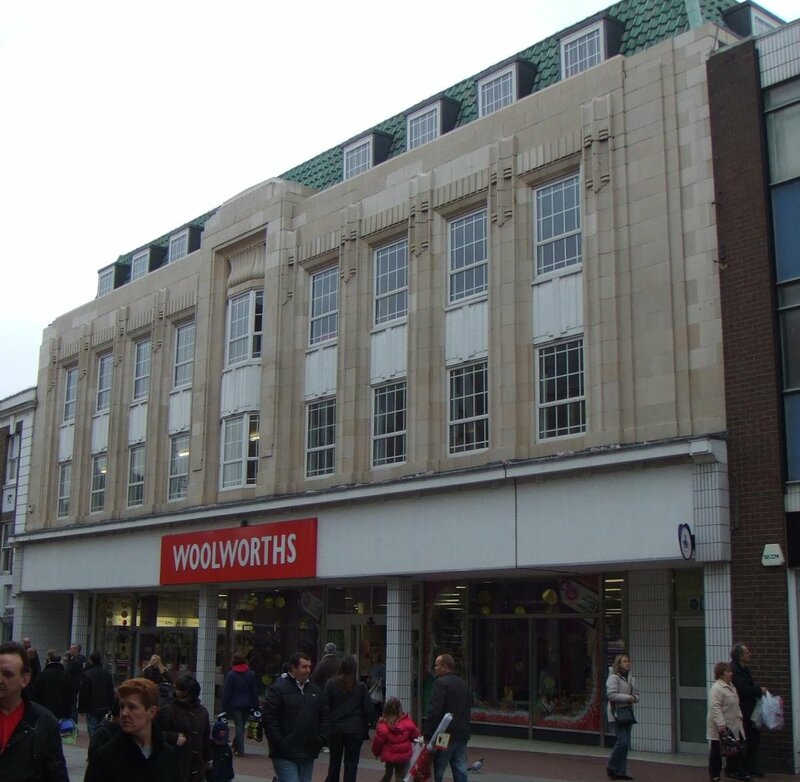 Not a very exciting building in terms of architecture, but next time you walk past these units in Colchester High Street, at least you now know they were a Woolworths. 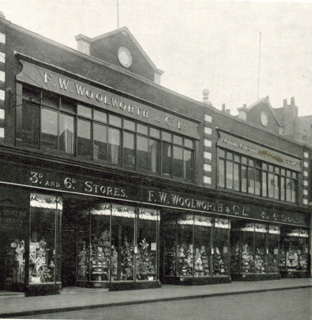 The Ilford store was a relatively new one in the history of Woolworths stores – but the address has a fascinating history. 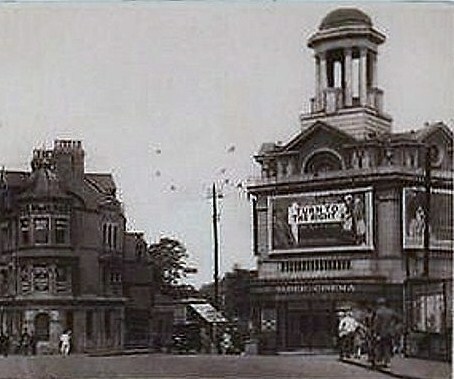 Originally it was the Ilford Super Cinema which opened on 14th October 1922. In WW2, Ilford suffered the most German V2 rocket hits and the cinema was one of the casualties in 1945 – the building had to be boarded up. 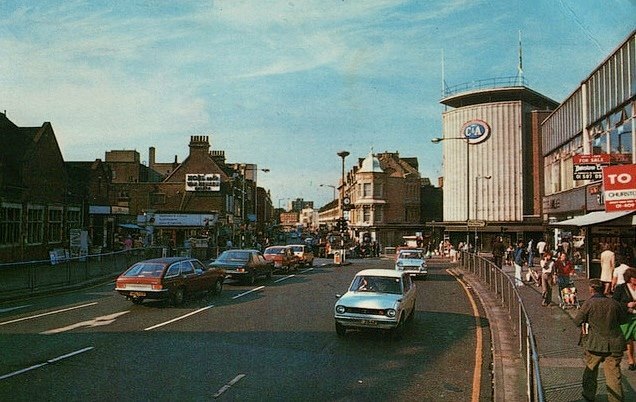 In 1959 – 14 years later – the cinema was demolished and a C&A built in it’s place – a pretty eye-catching C&A building too. 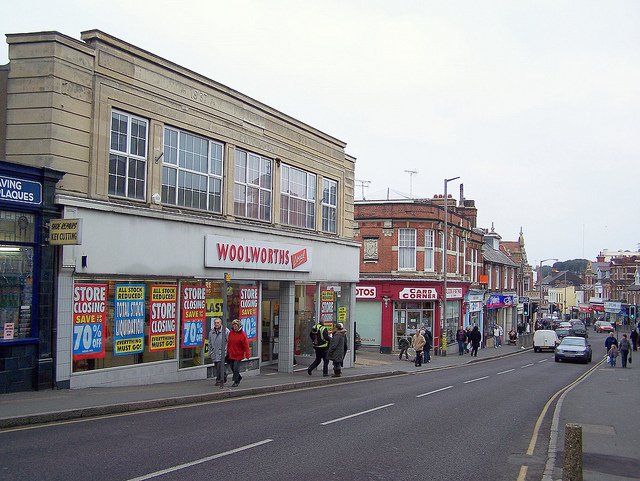 Then when all the C&As closed down in 2000, Woolworths took on the lease of 6 of them – Chester, Metro Gateshead, Wood Green, Derby, Slough and of course Ilford. She also remembers buying a CD on it’s last weekend of trading and how upbeat everyone was being. The Ilford store closed on 2nd January 2009. In October 2009, a Wilkinson’s opened in it’s place. 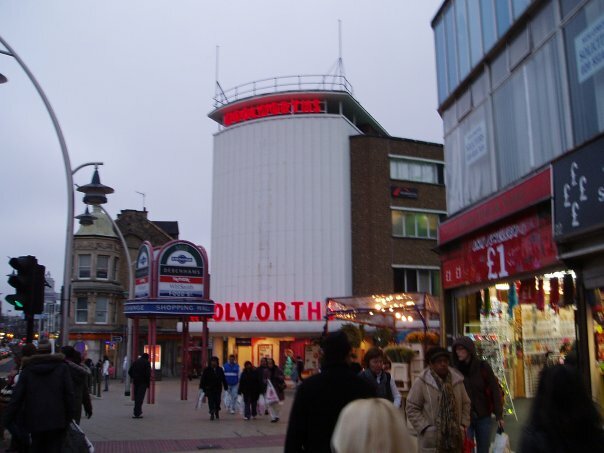 So although this is not a traditional Woolworths building, it is an iconic one and will probably stay a part of Ilford for many years to come. 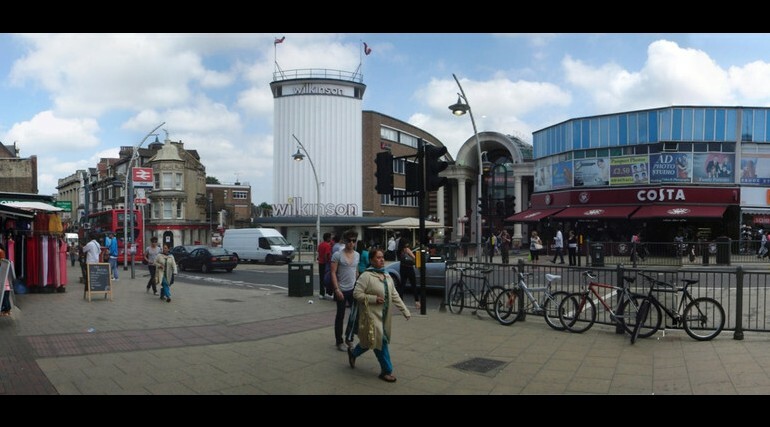 Actually, here is an architect’s impression of Ilford after the proposed ‘urban realm scheme’ – it looks like they want Wilko’s gone and a cinema or something movie-themed in it’s place, I’m guessing in homage to the original Ilford Super Cinema. 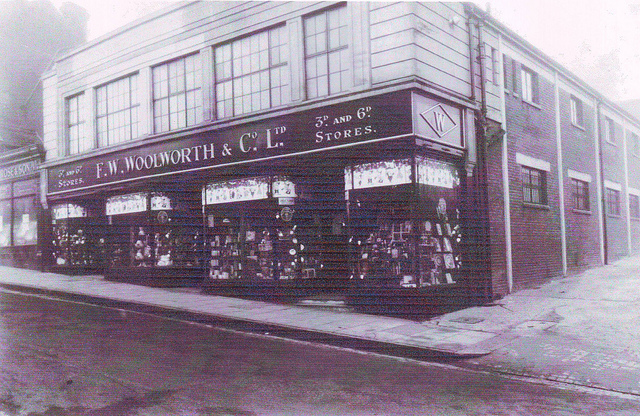 Woolworths opened in the small Essex seaside town of Dovercourt in 1934. 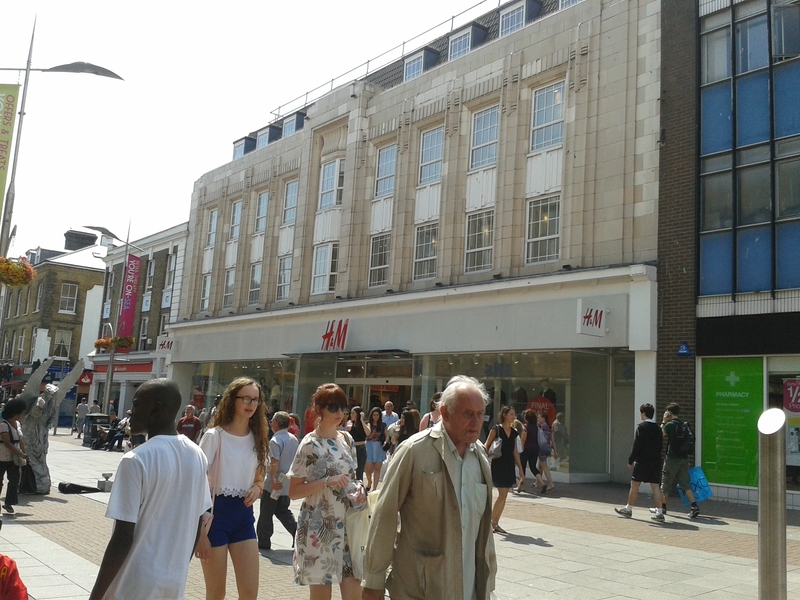 Known as the ‘3d 7 6d store’, the frontage increased by one half in 1937. Below is the store just before it closed for good on 30th December 2008. I like this picture as you can really compare the High Street with the 1936 postcard above. It looks like Nationwide was the ‘Developing & Printing’ shop, and what was Boots at the far end of the street in 1936 is now painted yellow.